ChargeIt by Jay Round White Beaded Antique Melamine Charger Plate 14"
Home > Products > ChargeIt by Jay Round White Beaded Antique Melamine Charger Plate 14"
Elevate any table presentation with the ChargeIt by Jay Round White Beaded Antique Melamine Charger Plate 14". Perfect for wedding receptions, engagement dinners, and other formal affairs, this charger plate provides the look of delicate china at a fraction of the cost. 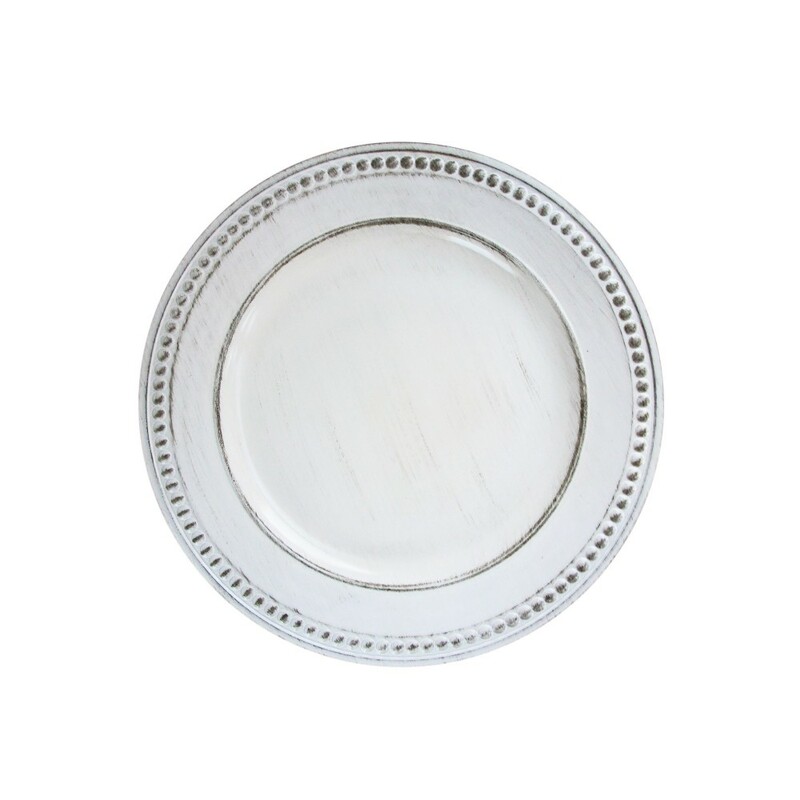 Designed with a beaded detailing along its rim, this pristine white plate adds classic elegance to any table decor. Combining unsurpassed style and unbeatable durability, this premium quality piece is made from lightweight, shatterproof melamine. This charger plate is not microwave safe and must be hand washed only.